When I used to work at Unpainted Furniture in Rapid City SD, the owner Lori would always give me new ideas of artwork to put on furniture to make it unique. 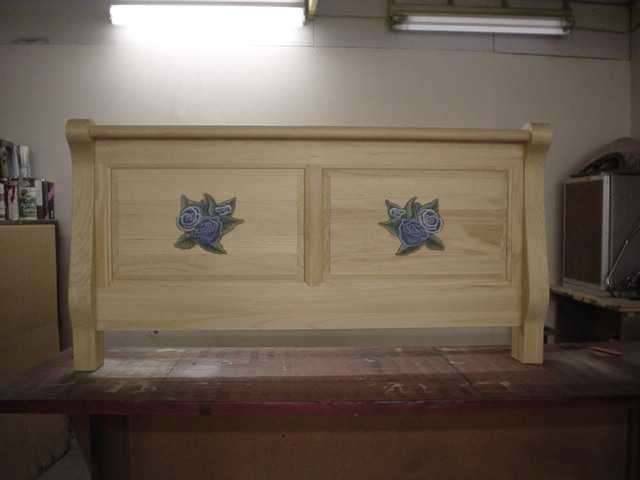 One day she had some customers who came in and they were looking for a headboard. The lady really really liked blue roses. 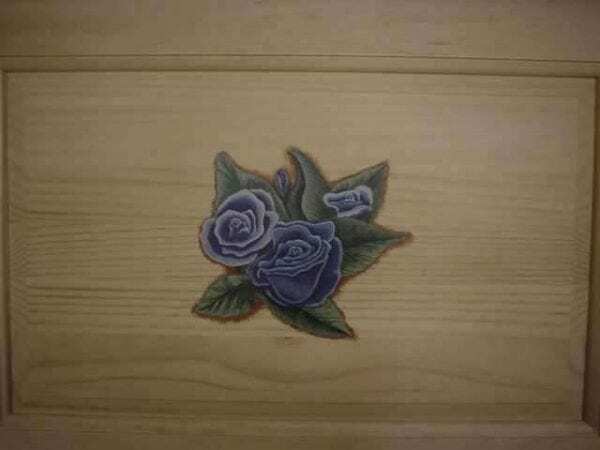 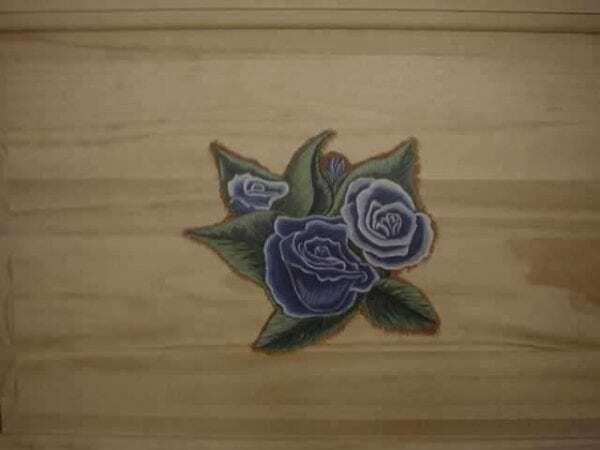 So Lori had me paint these blue roses on the headboard. 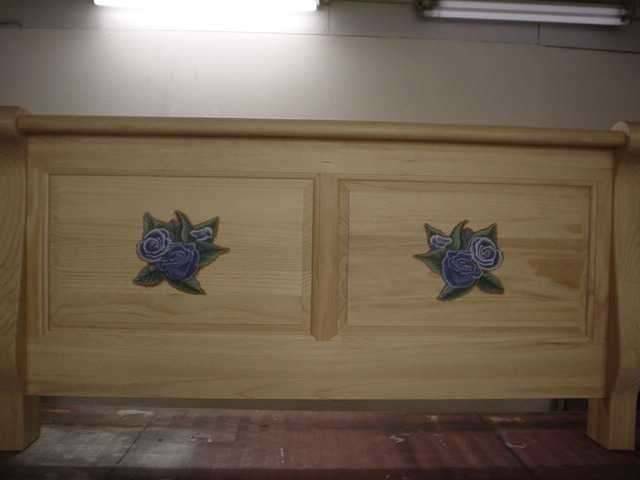 The customers were very happy with the way it turned out.